Last week I got so excited about returning to blogging, that I totally forgot my manners. You see, I meant to say a huge thank you for all the great comments on my giveaway a few weeks back. You gave me SO many ideas that my mind is just spinning with all the things I wanna make for you! So thank you sweet friends for letting me know what you like! This post is all about answering those desires and announcing some very exciting news. 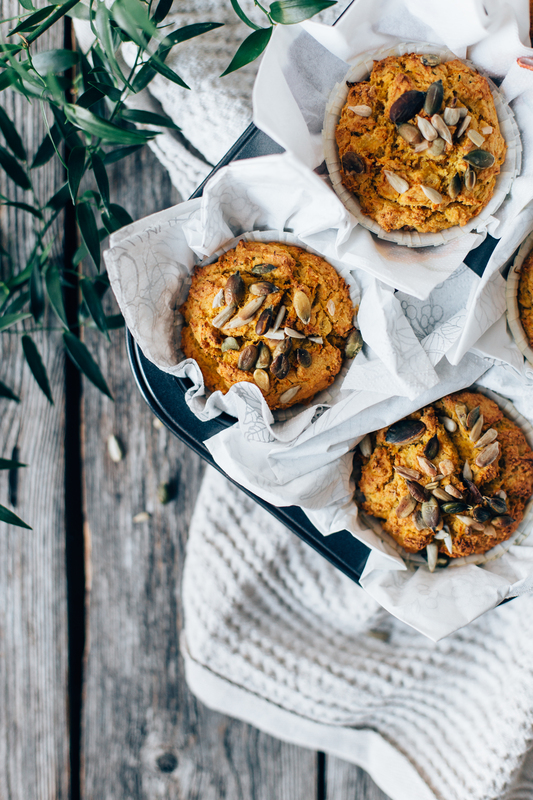 From this past Monday onwards I‘m teaming up with a London-based food delivery service Statera Foods, which means that you’ll be able to order 12 of my favorite recipes straight to your home! In short, Statera is a superfood recipe kit service on a mission to enable healthy balanced living. They partner with food bloggers (like me!) & chefs to deliver the exact ingredients required to make your chosen meals. 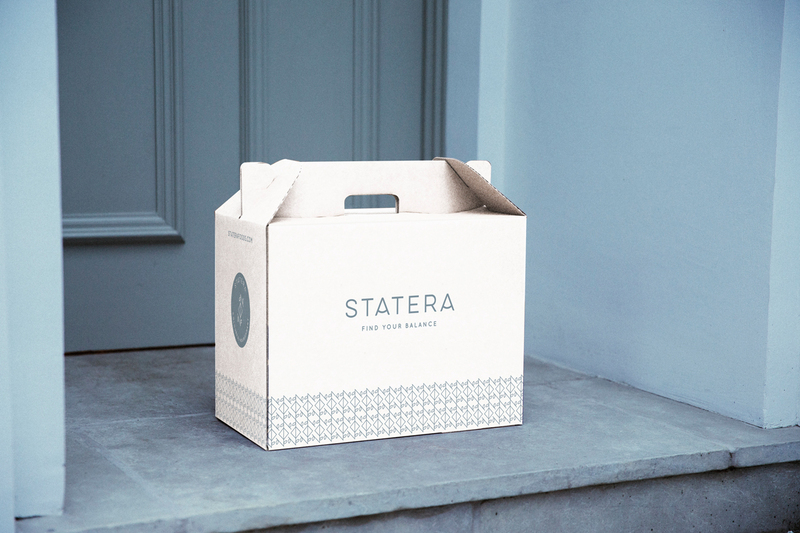 I’m beyond excited about this new project and for being able to serve all you readers living in London, as this is something I would definitely use daily if I just lived there :) Currently Statera delivers in West London with free delivery when you spend £45 or more and you should order by midnight Wednesday for Saturday delivery. Let me know if you end up ordering some of my meals, I’d love to know about your experience! Now, onto the recipe! A lot of people wished to have more recipes for savory snacks and it got me intrigued instantly, as snacks are essential for me. 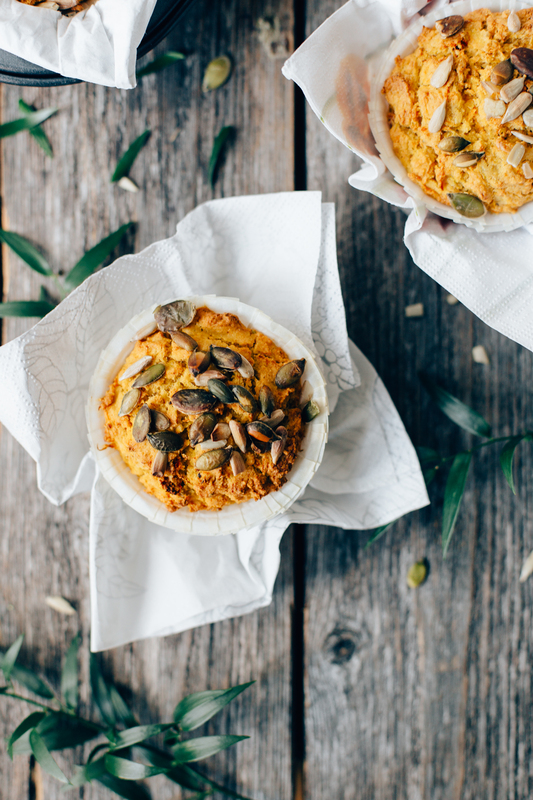 I usually go for the sweet snack, like a smoothie, chia pudding, or just fruit, so making something savory is a welcomed change. 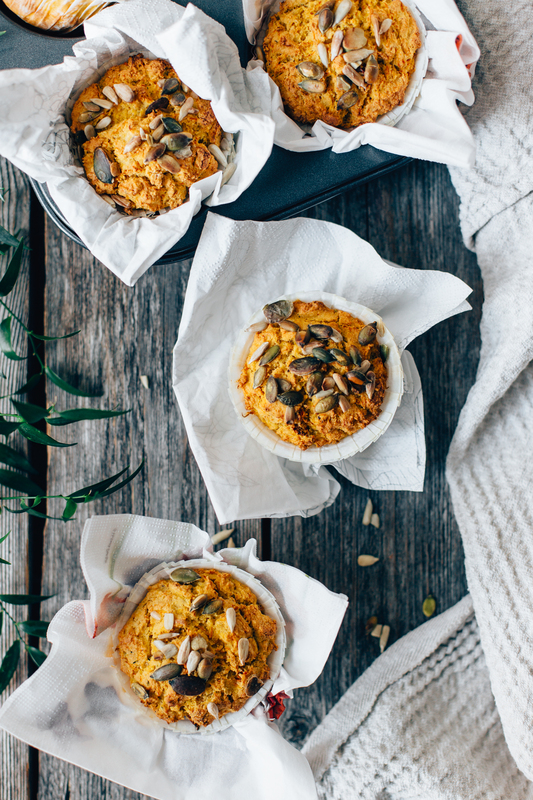 I came up with the idea of making savory muffins, as they’re easy to take to work / school, they store well in room temperature, and you can make a bigger batch, which will save you from multiple hanger attacks. 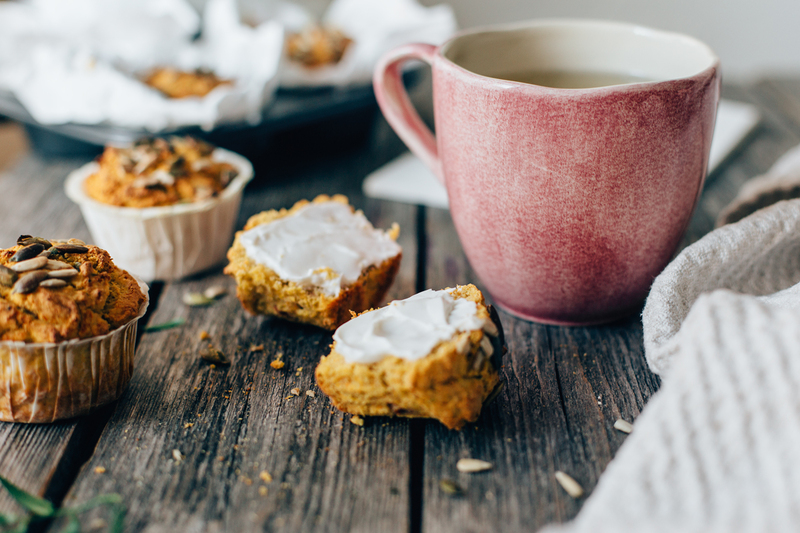 So here they are, my latest crush: the savory carrot and zucchini muffins! notes:the chia seeds can be replaced with ground flaxseed, they’re both great vegan replacements for eggs. you can try adding some chopped olives, pesto and other herbs in these too, if you like! 1. Preheat the oven to 400°F / 200°C. Mix the chia seeds with water and set aside for a few minutes to thicken. 2. In a big bowl, mix the grated carrot, zucchini, sun dried tomatoes, thyme and olive oil. Add the chia gel (or the eggs) and mix well. 3. In another bowl, mix all the dry ingredients. Pour the dry ingredients over the wet ingredients and stir until combined. 4. 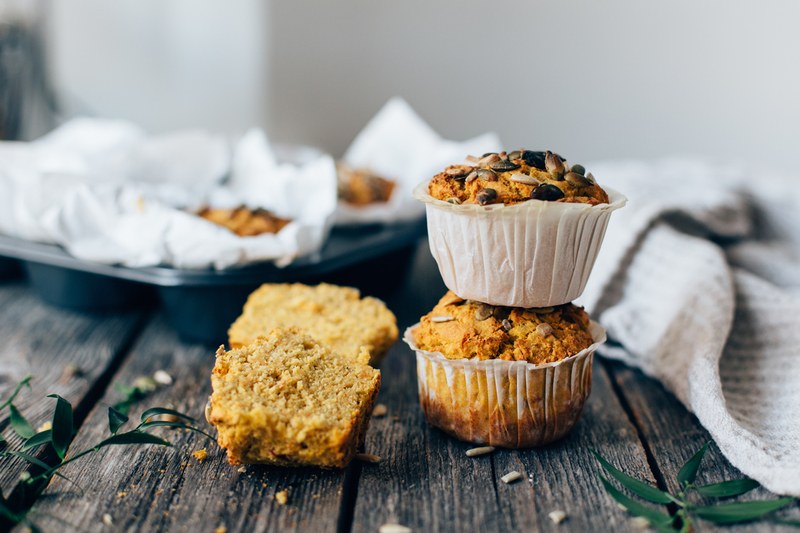 Grease a muffin pan or muffin tins with oil and spoon the batter into about 6 to 8 muffins. Sprinkle the seeds on top. Bake for about 20 to 22 minutes until a toothpick inserted in the middle comes out clean. Let cool and then enjoy! Store leftovers in the fridge for up to 2-3 days. Take a look on my recipes at Statera HERE and order by midnight Wednesday for Saturday delivery! I hope you enjoy the service! how big are your cups as 3 big carrots is way more than one measured cup ? can you put the grams on the recipe i am having to guess so i have no idea how it will turn out !!! sorry that doesn’t make sense i dont understand . i used 3 big carrots as per recipe and that is way more than a cup – so is it one cup or 3 big carrots ! as amounts are very different in reality-or can u put the gram equivalents on the recipe please ? Sorry about the unclear answer! I meant you’ll need 1 cup of grated carrots, and I used about 3 big carrots to make that amount. I know amounts vary in reality and I don’t have a scale so I don’t weigh my ingredients, sorry for that! Ha Thank you i guess my big carrots must be ot bigger than your big carrots ! i will do this next time and stick to one cup ! Hi Tuulia, your recipes are great! However I always have difficulty converting in grams. Could you please give in grams as well?